There are a lot of options for CBD Oil. But “Purity via Process” is more than a tagline for us. 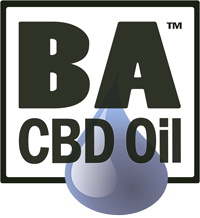 Our primary mission is to manufacture the most effective CBD Oil products available. We pursue that mission by maintaining the highest level of quality: Purity via process. Nanoparticle sized cannabidiol is the output of those processes. Because our products are highly bioavailable, they are highly effective. Our secondary mission is to educate. We do that by sharing the most accurate, clear and concise content available about the unique history of cannabidiol, its effects on the body, and how it is being used by mankind millenniums to improve health. We pursue that mission by continuing to research, learn, and share. Register now to learn more about how mankind has used hemp over the ages, studies on efficacy, and how the CBD oil helps to manage your body’s systems. Absolutely nothing that shouldn’t be! Zero Hexane, GMO free, no BPA, no preservatives or additives. None. Zero. Nada. And why was it referenced in the Bible? An even more interesting question: Why does the human body have an endocannabinoid system (ECS)? CBD is one of over 80 different chemicals produced by endocannabinoid (ECS) system. The ECS actually produces cannabinoids called endocannabinoids. These chemicals help regulate functions like sleep, immune responses, and even pain. CBD Oil may even help with alertness and focus; it is a powerful antioxidant, has been shown to reduce inflammation, and many claim to have reduced anxiety, and enjoy better sleep, even calmer bowel functions when using CBD oil as a supplement. It is known to have anticonvulsant and antipsychotic properties and is also widely used to help control epileptic seizures. Did you know that cannabidiol oil has a unique chemical code that is linked to a system in our bodies that controls other bodily systems? Deep, eh? Did you know that in spite of using cannabis and cannabidiols for medicinal purposes since the 4th century BC, the Endocannabinoid System (ECS) was not discovered until the 1980’s? About 5,800 years after man starts using the utilitarian cannabis sativa plant for medicinal purposes in ancient China, science discovers that the ECS functions like this control system for all kinds of other systems in our bodies. Oh, and the molecular structure of the cannabinoids in this plant, that was also arguably the first agricultural crop, mirrors the ones in our body’s ECS. Major coincidence there, eh? 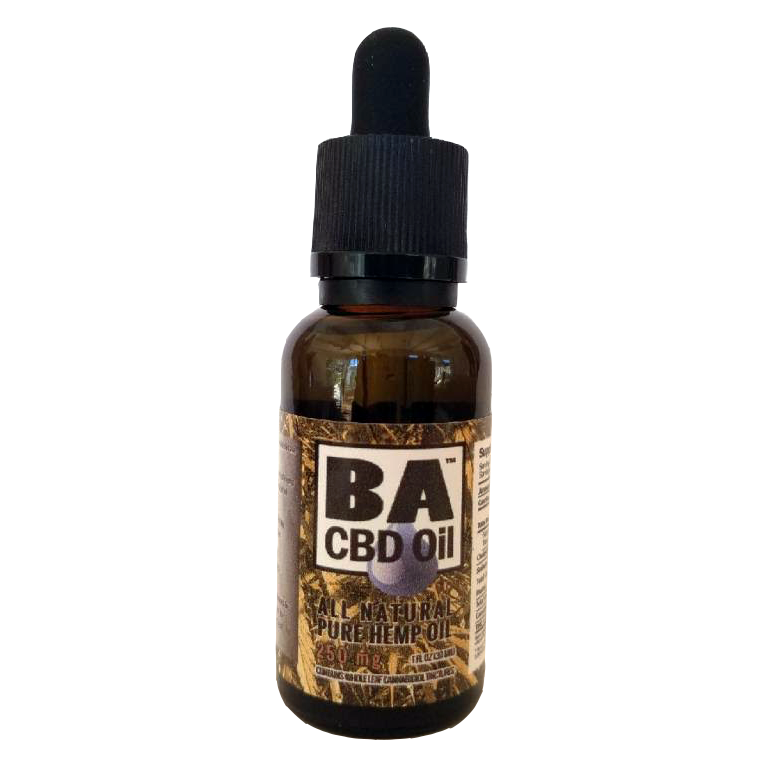 There are three ways to use CBD Oil in its liquid form, which is called “tincture”. Oral Absorption: The highest rate of absorption is achieved with just a few drops (3) under the tongue. Fill the bottom of the dropper. Standard quantity is three (3) drops, but slightly more can have a calming effect and help with sleep, or combatting feelings of anxiety. Because ingested CBD oil has one of the lower rates of absorption, users may need to ingest higher doses. Capsules can sometimes be a bit big, and more difficult to swallow. Topical Absorption: Rubbing CBD Oil directly on your skin. CBD Oil used topically can be applied directly to affected areas. CBD oil is becoming widely used in cosmetic and skin formulations when it is combined with other essential vitamins, nutrients, and proteins designed to keep skin soft and healthy. Inhalation: CBD Oil can also be used with vaporizers and inhaled. Vaporizing CBD Oils is a great option for those who have “Vape Pens”, and it still delivers one of the highest concentrations of oil. The relaxation effect, due to the higher concentrations, can make this method a little intense for some. 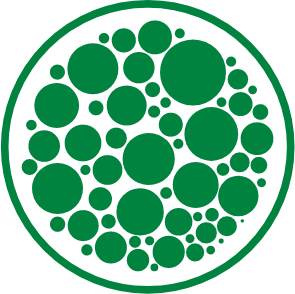 Different vaporizing apparatus can vary widely with regard to the temperatures they vaporize at, meaning that there can be significant variation in the level of CBD Oil released. Do the quantities used make a difference with different applications? Absolutely. But, the best practice is to start with a low dose (3 drops via oral absorption) and stay with the low dose for a few days. Less is more. CBD oil is safe, but so are fresh cherries and eating too many of them can throw your system out of whack too! Also, if you want to try more, take a smaller dose with a higher frequency. Track your results. If you try different doses, keep a diary or make notes in a calendar of the effects. Talk to a health professional or counselor. Will CBD Oil usage show up on a drug test? The answer is almost always no, but the words “almost” and “always” are clearly important. Most of these tests are biological tests done with antibodies designed to detect the psychoactive component of hemp (THC). Our CBD Oil is processed to remove the THC that is tested for in typical pre-employment drug screenings. It is very effective. 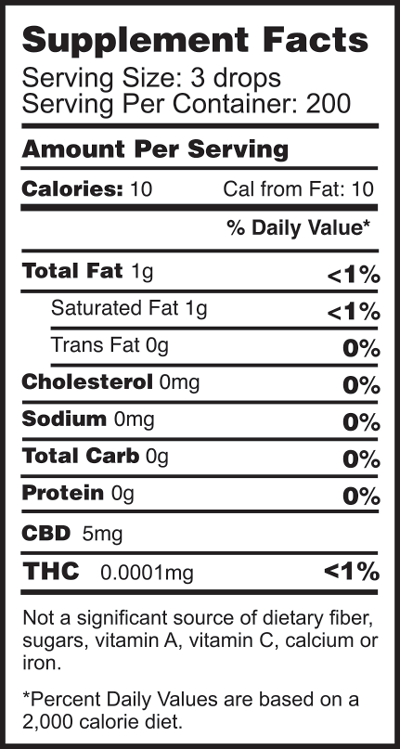 Each 3 mg dose contains only .0005 mg of THC. However, some CBD users take very high doses (over 1,000 mg). That being said, if you used a 1,000 mg bottle every day for 30 days you could in theory intake 15 mg of THC in a month, and blood levels would be far under that. 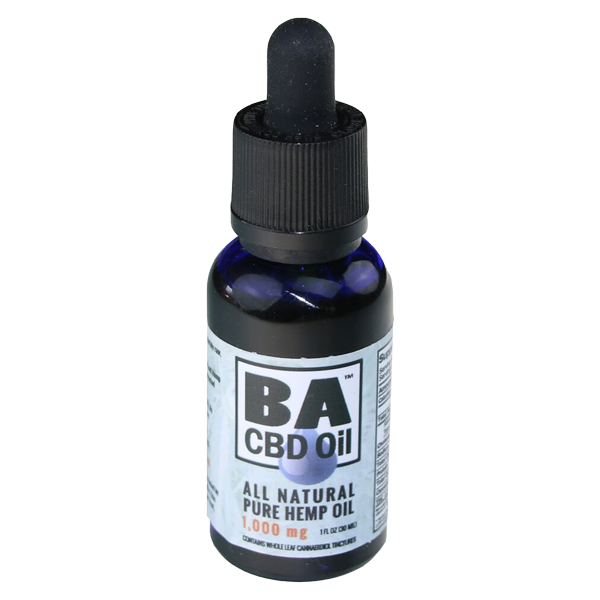 Bottom Line: If you use BA CBD Oil at the quantities recommended, you are highly unlikely to test positive for THC (but also be aware “false positives” happen). However, if you are trying to secure a spot on an Olympic team, get paid the bonus on your NFL contract, or get a job with the CIA, reach out to your health professional and ask lots of questions! How are you using it? Oral Absorption, Ingestion, Vaporizer, or topically? Each method has varying rates of utilization by “your body”. What is the quality, purity, and actual levels of CBD oil contained in the product you are using? Many products have additional additives, even flavorings that can reduce the amount and effectiveness of the CBD Oil. What is your mass? Clearly the 52 lb. 6-year-old will follow different serving size than a 320 lb. retired pro-football lineman that is exploring non-pharma options. If you have ever been involved with process control or optimization at work or in school, you know that every variable in the process makes it more difficult to optimize or improve that system or process. If you want to garner the best health effects from CBD Oil, you need to control the variables in the process as you experiment to find “your optimal regimen”. Use the same method every time until you know what works. In other words, don’t switch back and forth from ingestion to oral absorption. Stick with one. When you do make a change, switch out only one variable at a time. Typically the first variable worked on is quantity. When you have that, you can see what impact using a capsule or edible has over CBD Oil absorbed orally under the tongue, or try vaping? But, Step 1: Find what works for you. Document: Write it down. Keep a short diary or a spreadsheet, or simply add notes to the calendar on your phone, but collect some data! Have a specific question you want to be answered? Give us a shout and ask away! 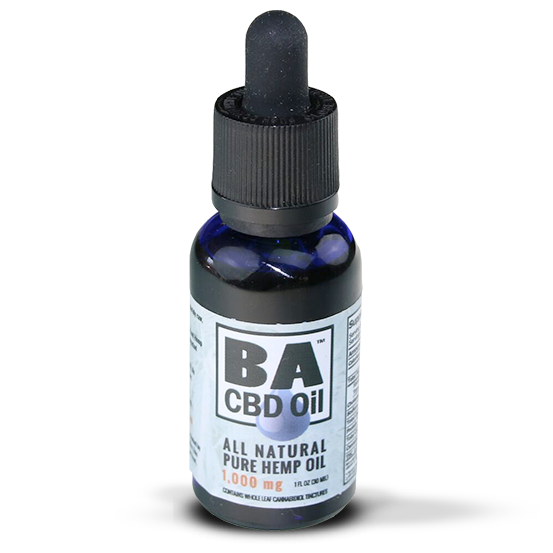 At BA CBD Oil, our main focus is manufacturing and providing the highest quality CBD oil and hemp extracts worldwide. Subscribe Now and Receive 10% off your first order!